Calgary Pubs - What's YOUR Favourite? What's in the Calgary pubs line up? Well, there are far too many to fit onto one map, but as anyone who's travelled will know, a city is not a city unless it has at least one good Irish pub. In Calgary, there are at least two good Irish pubs worth a mention here. Fionn MacCool's Irish pub can be found on 255 Barclay Parade SW, Sheraton Suites Eau Claire, and the James Joyce Pub on 114 8th Avenue SW. Both of these have a good Irish authentic atmosphere where you can enjoy a good drink, dinner and dancing Calgary Celtic style. If you're not so much a fan of Celtic music but are looking more to have a drink and a dance, then it shouldn't be a problem to find Calgary pubs to suit your taste. 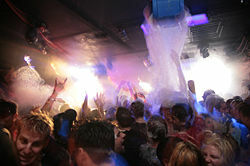 Take for example The Whiskey Nightclub on 341 10 Ave SW. If you prefer live dance music then this is perhaps the pub for you. Even though it's called a nightclub, it is really a cross between a pub and a nightclub so you get the best of both worlds. Then there is the Sky Bar Calgary which has a perfect central location on Centre Street and 8th Ave SW, located upstairs at the Saltlik. If you like modern dance music then this is perhaps more your style. You may also catch a celebrity here if you choose carefully as many world-renowned DJs have played here. If you're a beer nut, one of these pubs called "Ming" is probably not the place for you. However, if you are into your cocktails then it could be the right place - in particular if you form part of the trendy urban professional crowd. Ming can be found on 520 17th Ave SW, and is the ideal place to show off your latest and coolest designer wear. Even if you don't consider yourself part of the trendy urban crowd, if you love martinis then you should definitely visit this place. Making creative martinis forms part of their reputation and Ming's considered to be the best place in Calgary for this. Moving on to the lovers of beer nuts and beer, if you're looking for any pubs with traditional atmosphere and good food, you can't go wrong with the Black Swan Ale House on 10455 Southport Rd SW. The food is great and so is the beer. 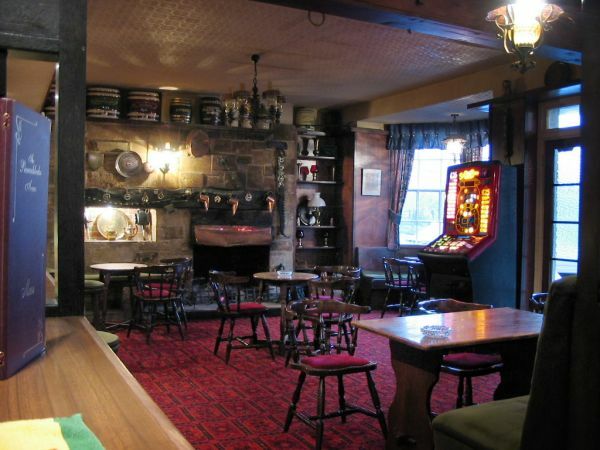 Plus if you want to chill out with a game of pool or darts then you won't be disappointed. There are of course lots of Calgary pubs to work your way through, and what I've tried to do here is just give a small sample of the variety that's available. But the best way to see is to come to Calgary and perhaps join a pub crawl tour to experience everything for yourself! Go back from Calgary Pubs to Calgary Downtown Maps now.